When you think of head lice, it’s likely that you don’t think of a contagious virus being spread amongst the population. Most people simply imagine an itchy scalp and little else. That is because head lice are not contagious in the way we usually imagine – in fact, they are not easily spread whatsoever. It takes some real work to catch head lice from a coworker or friend. It happens, though. As an adult, what are you to do? Well, just like your children, you have the same options available, including professional head lice treatment and non-toxic solutions! How Contagious Are Head Lice? Head lice are only contagious if you come in direct contact with someone who has them. That means direct head-to-head contact with a coworker, family member, or friend. Your head must touch their head. Still, indirect contact is a possibility, albeit less common. Indirect contact includes sharing a hat, scarf, or comb that has head lice in the fibers; any contaminated item, really. This is the primary reason why so many experts believe children are at an increased risk for head lice. They often share their clothing items rampantly or share bedding at a sleepover. Head lice, known as pediculosis capitis, are known to cause itching along the scalp. The cause of this itching is the saliva within each bite, not the actual bug itself. When a head lice feasts on the scalp, their saliva causes an allergic reaction in the body. Then, the person experiences an itching, burning sensation that we cannot help but scratch. Head lice affect people of all ages and races. Typically, women experience head lice more often than males. The reason for this is likely the volume of their hair. With more space to hide and crawl, head lice feel more at home on a woman’s scalp. In adults, head lice tend to spread via children. As we mentioned before, kids are at an increased risk of head lice infestation due to their penchant for sharing and playing closely with other kids. Once kids are infected with head lice, adults either attempt to handle the issue themselves or do not realize the extent of the infestation. It then spreads to everyone in the house. If you or anyone in your family has head lice, you will want to seek immediate professional help. You see, over-the-counter medications often fail to treat the problem and are usually full of chemicals that you don’t want on your or your family’s scalp. Your best option is to seek out Lice Lifters. With one phone call, we can schedule a lice treatment appointment and have your scalp free of nits and pests for the foreseeable future. Give us a call at 972-805-1308! 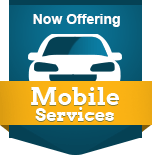 We serve Frisco and surrounding areas. Like many parents, you have likely considered shaving your child’s head once head lice are discovered. It is so tempting to grab the electric shaver and take a run at their scalp. Stop for a moment. Instead of shaving them bald and causing both confusion and embarrassment, truly think about the situation. You cannot bring your child to a salon for a professional shave if they have head lice. It is a health code violation. Shaving your child’s hair is upsetting, embarrassing, and may mean isolation for some children. Many kids feel attached to their locks and may not enjoy a buzz cut. For girls, a shaved head remains a social taboo. It’s best to avoid ostracizing your daughter to rid their scalp of head lice. Shaving the head is not a guaranteed fix. You may not rid the scalp of head lice. The bugs cling to the smallest piece of hair to acquire blood. If you shave the head, even with a razor that provides a close shave, there are still hair pieces to grab hold of. Furthermore, hair can grow back relatively quickly on a child. The head lice will remain patient, feeding off blood from the scalp. These pests will wait for the hair to return to continue breeding and feeding like normal. 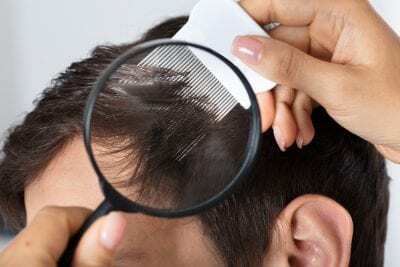 Instead of shaving the scalp completely bald, the answer lies within the head lice themselves. You cannot remove the hair. You must remove the head lice. So, how do you go about ridding the scalp of head lice? Well, by scheduling professional treatment. You see, over-the-counter lice medications – found in your local supermarket – fail to resolve your head lice trouble. Most head lice today are immune to the pesticides and other chemicals found in such concoctions. They only serve to cause more harm and skin irritation. Instead, opt for professional lice removal. Using guaranteed methods, including a thorough head check and comb-out, followed by all-natural, non-toxic killing agents, head lice will be a thing of the past. Of course, the entire family may need to be treated, and a follow-up treatment is necessary. But it works! Schedule professional head lice treatment in Dallas-Fort Worth with Lice Lifters Treatment Centers. Give us a call now at 972-805-1308 for a comprehensive lice treatment that contains zero chemicals or harmful techniques for your children!